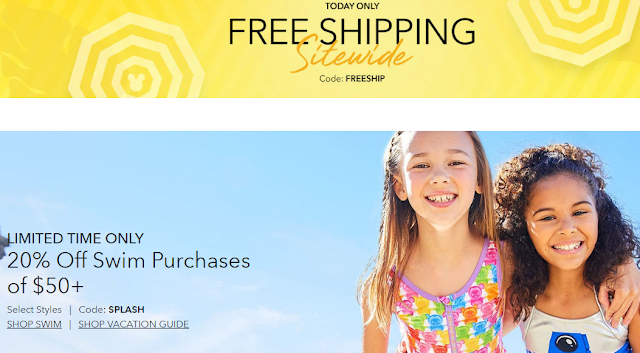 Today, April 9th only, shopDisney is offering free shipping on all orders when you enter the promo code FREESHIP at checkout! Even better, through April 14th, you can score an extra 20% off swimwear purchases of $50 or more with the promo code SPLASH at checkout. And yes, these codes stack!